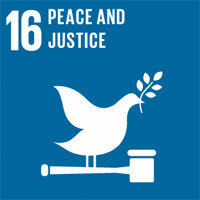 Involve, as coordinator of the Open Government Network, is working with partners and members of the UKSSD network to review the UK’s performance against United Nations Sustainable Development Goal 16 (SDG16) on Peace, Justice and Strong Institutions. Follow and intial phase of research, the draft text of the chapter on SDG16 is now open for review and comment. We invite members of the Open Government Networks to participate in this review, and add any comment or dataset they feel will help to add to the quality of the assessment of the chapter. Members from all the sister Open Government Networks in the devolved nations are encouraged to participate. Once this review process is complete, all SDG chapters will be brought together by UKSSD into a wide-ranging and in-depth performance assessment that will be incorporated into a report to be launched during the UN High Level Political Forum on Sustainable Development held in New York in July 2018. The report will include recommended actions that the Government needs to take in the UK if we are to meet the SDGs by the 2030 deadline. If you are interested in providing comments on the draft text, or wish to find out more, please contact Andreas Pavlou.